How many calls should you expect to receive when selling your airplane? How will you find the right buyer for your plane at the right price? Successful owners that sell an aircraft follow one of these routes: Mass Marketing, Micro-Marketing, and Concentrated Marketing. The results below are from an advertising budget of $45 per month. Mass marketing gets the message out that your plane is for sale. Services like Controller, Trade-A-Plane and ASO are mass marketing tools. Also in that group would be FBO community boards, direct mail and local pilot group emails. With a small advertising budget you can broadcast to a wide audience. This type of marketing is sometimes called a “shot gun” approach because it is so broad. Don’t expect mass marketing to just bring in qualified buyers. You’ll receive unwanted calls and offers. To avoid time wasters, you should have a plan to execute standard departure procedures (DP’s) on unqualified callers (more on that later). A minimal advertising budget should generate 8 – 12 responses per month on your plane. You should set reasonable expectations. There may only be one serious lead from those calls each month. Most contacts will be from tire kickers. Concentrate your marketing to increase qualified leads. You may benefit by focusing on a small group of highly targeted customers. Aircraft type clubs for Bonanza, Cessna, Cirrus, Pipers, warbirds, etc. offer an opportunity to get your message to specific pilot groups. Consider approaching one or more type clubs to find target customers for your plane. Don’t be limited to just the type club for your model aircraft. In selling my Piper Archer I received a serious lead from a Bonanza pilot looking to downsize. He liked the Archer’s quality Bendix King panel makeover which included a HSI, full autopilot, 991 pound useful load, and economical operating cost. On Cirrus Owners and Pilots Association (COPA) website and in their quarterly publications you’ll see Piper Meridian advertising. Piper is targeting Cirrus pilots looking to move up into more complex aircraft. A fellow pilot recently sold his sailplane by only using one specialty site www.wingsandwheels.com. He said they had global reach. Do you have successful experience with aircraft type sites? Please share a comment. Look for direct email opportunities to pilots or those with an ability to refer a qualified buyer. Ask fellow pilots for referrals to friends they know that might be interested in your plane. 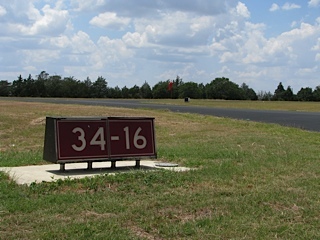 Do you have a good starter plane for low-time student pilots? Consider paying a finder fee to CFII’s if they refer a buyer to you. Micro marketing may generate 1 – 3 qualified leads over the entire sales cycle for your airplane. Concentrated marketing is a rifle approach. It focuses on reaching pilots that need the features and benefits of your aircraft. Take some time to identify the type of pilots that would have the greatest appeal for your airplane. That is your target customer. You’ll want to concentrate on speaking to those pilots when writing your ad copy. How would I describe target customers for my Piper Archer? They could be profiled as: higher time pilots with IFR flight experience. They were cross-country flyers. They were knowledgeable of the Bendix/King avionics. They held an appreciation for the benefits of IFR instrument redundancy. They were pilots interested in a well maintained plane which their son or daughter could also fly. They might be a pilot looking to downsize. They would probably not be a first time buyer. How would I describe non-qualified callers for my Piper Archer? Very low time pilots. Weekend VFR pilots. Hundred dollar hamburger flyers. Pilots looking for a plane to just fly the grand kids. Could a non-qualified buyer have bought my plane? Yes, but their perceived value of the plane’s features and benefits were lower than targeted pilot’s perceived value. Still I followed up by email and talked by phone with non-qualified buyers. Some of my longest phone calls were with student pilots asking questions about the plane. From those conversations I learned about missing information which I added to my online advertising. Write out your spec sheet. But realize a stand alone list of features is not enough. You should explain the important features of your aircraft and the benefits each offers. I have attached an example ad for a Piper Archer. You should receive 1 qualified target customer every 30 – 60 days from standard mass marketing. A concentrated long copy ad with 50 online photographs should increase qualified targeted leads to about 2 each month. For target customers price is not the leading consideration. They’re looking first for the right plane that meets their needs and priorities. For non-qualified buyers, price tends to always be a leading issue. In my sale, location was a convenience for the buyer and helped to support my asking price. Having a buyer geographically close was a plus but not a qualifier. I was not willing to fly the plane to a sale. But I was willing to offer a price concession to a serious cross-country buyer. Mass marketing allows other people to find you. Be aware, you will receive many unqualified calls. Brokers will routinely pitch their services to you. If you’ve decided to sell the plane yourself then ask the broker to remove your number from their call list. In the remarks section of your advertisement state “No brokers please.” Save their time and yours. You’ll receive low cash offers at the bottom of the market. They have no questions and no contact information other than an email address. They’re bottom feeders trying to buy and flip your plane on sites like e-bay. You’ll also receive offers to swap property and land. You do not want them to have your email address. You should also be cautious of the occasional scam. These usually involve asking you to do something to get the sale and the price you want. Read information on reputable websites for examples, talk with your banker, and seek counsel on the topic. Be aware you’ll receive 2 – 5 “departure procedure” contacts per month while advertising your plane. Manage your expectations and don’t let these pitches deter you in finding your target customers. You can effectively manage sales contacts by realizing pilots have different needs and priorities. It’s easier to sell your plane if you seek to discover and understand those differences from each contact. “How to Sell an Airplane, Part 5” concludes with steps to help you prepare for landing the sale. Posted on July 5, 2013 April 1, 2017 by Jeff BrewerPosted in Selling an airplaneTagged Piper PA-28 Cherokee, Sell your airplane, Selling an airplane.